Last year I bought I bought a Char-Broil Performance 4 Burner grill to match the Weber Jumbo Joe charcoal that I had taking pride of place on my patio. I’d been loving barbecuing with charcoal that I felt like a gas version would be a great added option to have. 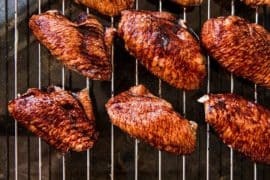 A lot of conventional wisdom around gas vs charcoal grills left me under the impression that gas grills couldn’t quite offer up the same BBQ experience as charcoals. This just couldn’t be further from the truth though, and I hope that my review today helps answer any questions you might have about the Char-Broil Performance grill. Overall this is a great grill that is really powerful considering its price, and offers a really great amount of cooking space to work with. This grill offers great value for money without really compromising on any key features that you’d want a good gas grill to have. It’s a great grill for anyone wanting to cook up a grilled feast in a relatively short period of time. One of my key considerations when comparing grills is size. Of course power and usability are both important, but when it comes to outdoor cooking I like to be able to get a lot of food on the go at once. Perhaps it’s the inner caterer in me, but I like to feel like I’m able to get a spread on quickly. Luckily, this grill from Char-Broil comes with 500 square inches of space, which is more than enough to cater for most of your grilling. When combined its neighboring side burner and drying rack, the total cooking area of it comes to 660 square inches. Now onto the meaty stuff. 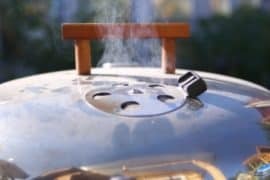 Heat output for gas grills is measured in BTUs (you can find a quick guide on what that means here) which is. broadly speaking, a measure of its heat efficiency. The best gas grills will have about 80-100 BTUs per square inch of cooking space. So where does that put this Char-Broil grill? Well it’s good news, as at 40,000 BTUs over 500 square inches of cooking space, that puts this grill firmly in that bracket. It isn’t just a powerful grill, it’s also an efficient one. I’ve always been a fan of grills with porcelain-coated grates as this coating helps distribute heat evenly across the cooking surface of the grill. I’ve found this particularly useful for longer forms of cooking (i.e. not just searing), as it helps reduce uneven hot and cold spots across your grill. It also has a nice side burner on it, which I use for searing food once it’s been cooked on the main grate. This has about 10,000 BTUs, which is pretty powerful for a side burner. What I like about this is that it helps give you a more well-rounded grilling experience, so you can cook at steady temperatures on the main grill, and then round things off with a quick sear on the side burner. Part of the appeal in gas grills is their convenience, so they also need to be easy and quick to start up. I’m pleased to say that the Char-Broil Performance has an electronic ignition system which has never failed me. Every time I’ve used it, it only takes a few seconds to get going – even in wind and rain! Post-grilling clean-ups are pretty much the bane of my barbecuing existence. Grills are famously prone to run-off from meat, which in turn can lead to crusted on fat worked in to the inside of your grill. It’s disgusting and also a pain to get rid off. 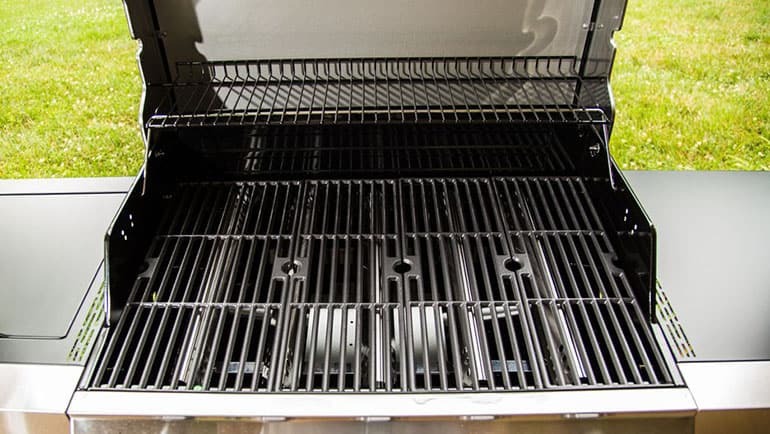 Thankfully, drip trays to help catch this run-off are becoming more and more widely used, and this grill also boasts one. Not only this, but the tray is removable which means you can take it out the grill and clean it separately. 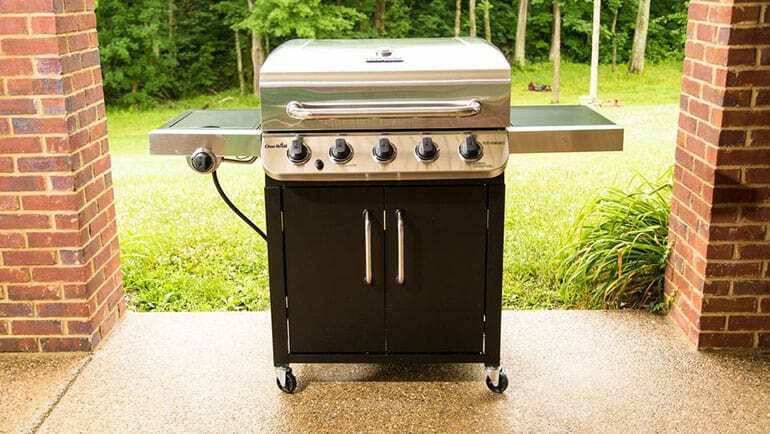 The primary cooking area of this Char-Broil Gas Grill is 500 square inches, which is more than enough for most of your grilling activities. When combined with the neighboring parts, the total cooking area of it comes to 660 square inches. The four burners are made out of stainless steel to provide maximum durability to you. You can also find porcelain coated cast iron grates in the grill. The Char-Broil Performance is an advanced gas grill that is manufactured while seeking the assistance of modern technology. Therefore, you don’t need to take the hassle of lighting up matches. The electronic ignition system provides a reliable start to the grill within few seconds. It has the potential to light up even under extreme weather conditions. The hidden casters of The Char-Broil Performance Gas Grill provide additional style and mobility to the grill. You can take the maximum advantage out of them and carry the grill to anywhere you want with less hassle. An ample storage space is provided through the fully enclosed cabinet. The silver colored finish adds more glamour to it and it will definitely provide you with a fascinating grilling experience. The dimensions measure 56″L x 21″W x 44.4″H, which is great when compared with the competitive grills on the market. The weight of this grill is just under 108 pounds. People can use this gas grill for a wide range of applications. For example, it is great for outdoor grilling and almost all the types of cooking activities throughout the entire year. You can take it out of your home to the outdoor living space and enjoy cooking with your friends or family members. You can even celebrate outdoor parties while preparing mouthwatering food from it. If you want to cook a large amount of food within a short period of time, this is one of the best options that are available to you. That is the main reason why people use it at barbecues. This stainless steel Char-Broil Performance 4 Burner makes the perfect addition to your patio, lawn or outdoor living space. Equipped with a 40,000 BTU cooking system that delivers powerful heat and performance, this grill includes a 10,000 BTU side burner that provides you with a convenient method for cooking an entire meal outside. The Char-Broil is designed with porcelain-coated, cast-iron cooking grates designed to give you juicy burgers and meaty ribs. It’s made with heavy-duty caster wheels, so you can easily move and reposition the grill on your patio. For weekend cookouts, parties and special meals with friends and family, it’s a great grill to have around. All the features of The Char-Broil Performance Gas Grill are fascinating and they have impressed the customers. 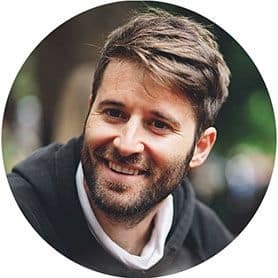 The effectiveness of it can clearly be seen from the customer testimonials that are available online. The notable features like powerfulness, ability to operate on a windy day and rugged durability are the key main factors which have impressed customers.Even though this grill is a high end cooking machine, you can purchase it from the market at an affordable price. The manufacturer offers a comprehensive one year warranty to the grill. Therefore, there is nothing to lose by purchasing it.